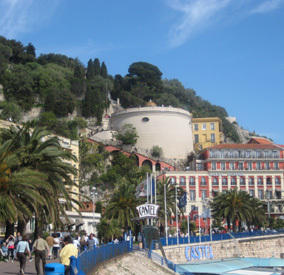 If you only have a short time in Nice and can only try a few restaurants or visit a few places we have assembled this short list . CANET 25 Boulevard Gambetta, 6000, NICE; 54 and. Bistrot Antoine 27 rue de la Préfecture Nice - 06000 04.93.85.29.57. From The Chataeu -- "Colline du Chateau" located on the eastern end of the Promenade or Take the Bus from Gare Routierre to EZE for a view from Chateau Eze.